Austin Developments will not make an attempt to identify users or their browsing activities. However, in the unlikely event of an investigation, a law enforcement agency may exercise its legal authority to inspect our Internet Service Provider’s logs. Austin Developments will only record your e-mail address if you send us a message. Your e-mail address will only be used or disclosed for the purpose for which you have provided it and it will not be added to a mailing list or used or disclosed for any other purpose without your consent unless you specifically request such action. Users are advised that there are inherent risks transmitting information across the Internet. 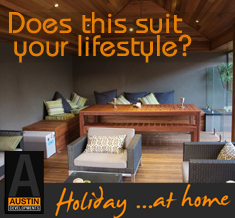 We may offer links to sites that are not operated by Austin Developments. If you visit one of these linked sites, you should review their privacy and other policies. We are not responsible for the policies and practices of other companies. If you require further information, please contact Austin Developments.